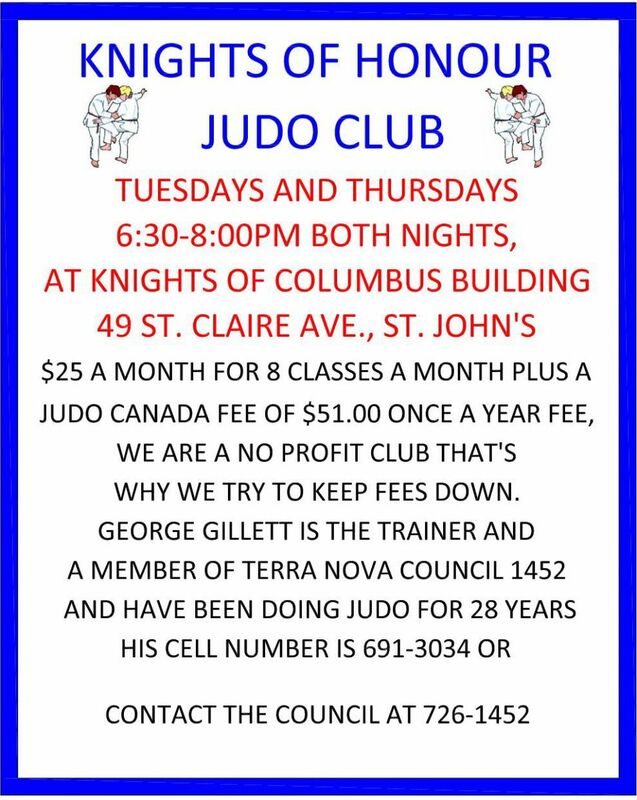 There will be a General Meeting, Thursday Sept 20 at 8:00pm. 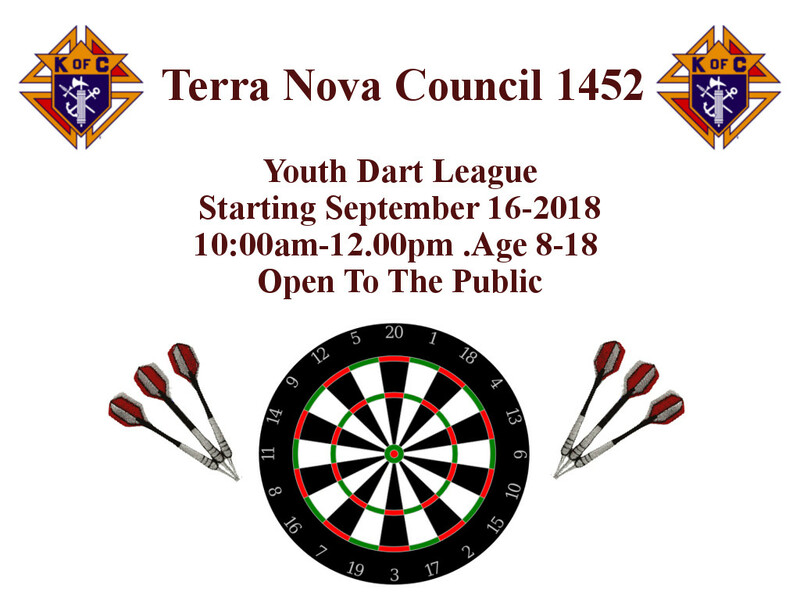 Hope you can attend! 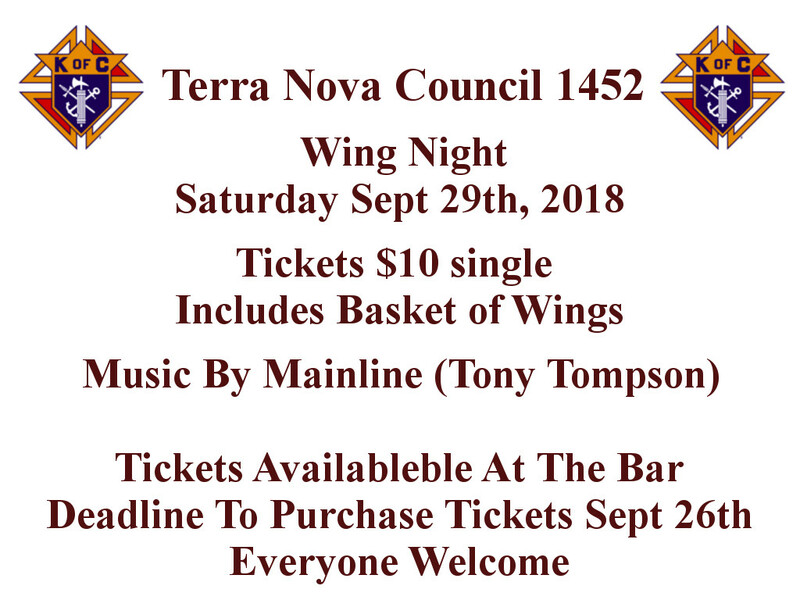 The Installation of Officers of Terra Nova Council, K of C, 1452 and Archbishop Howley Assembly, Fourth Degree, will place on Sunday, September 23, at 12 Noon, 49 St. Clare Ave. 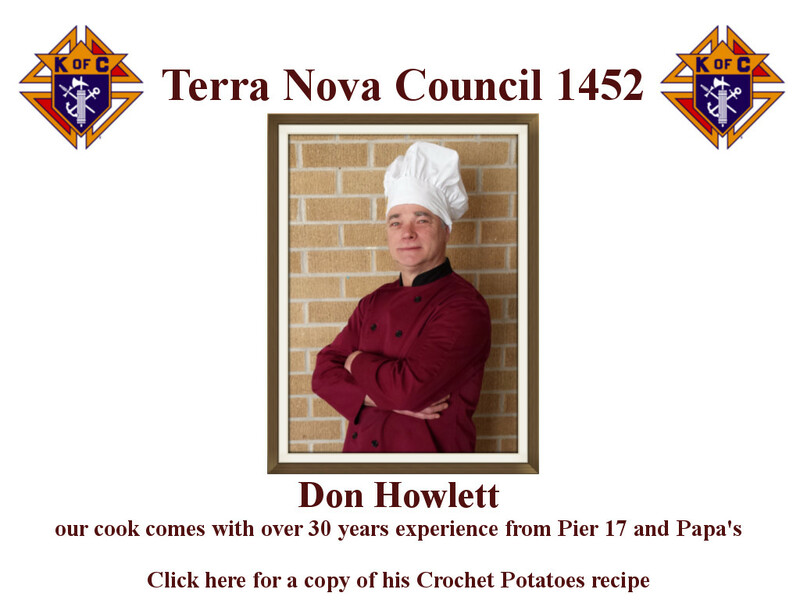 The Installation will be followed by soup and sandwiches. 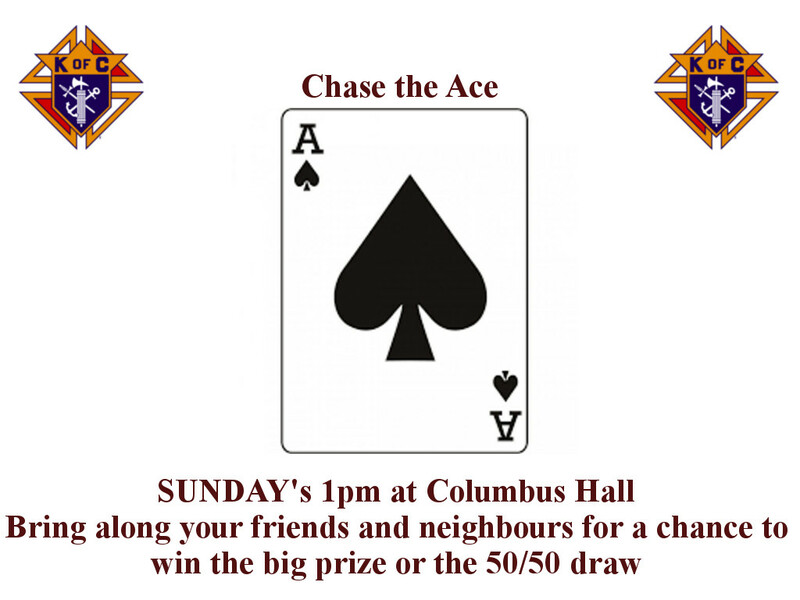 Chase the Ace which is open to the membership and the general public will start this SUNDAY, May 6th at 1pm at Columbus Hall. 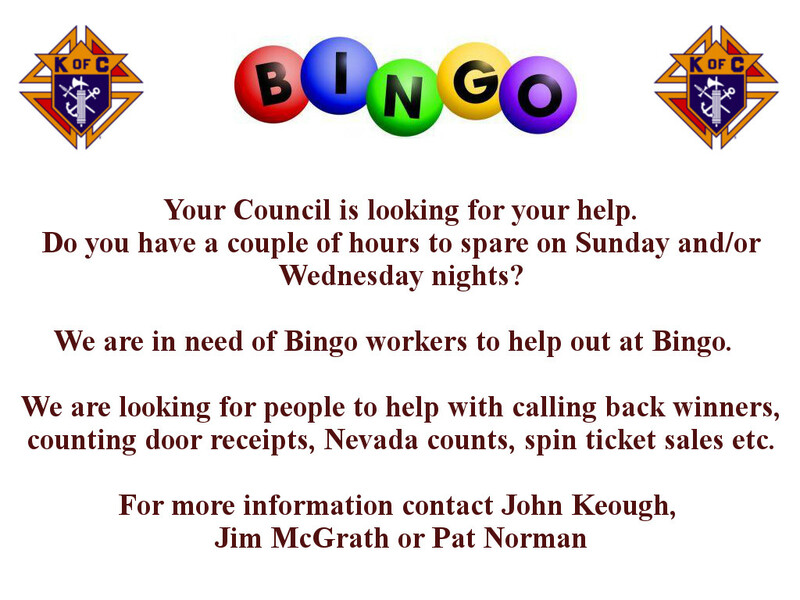 Bring along your friends and neighbours for a chance to win the big prize or the 50/50 draw.